Large Diameter Pipe Design under Urban Constraints. New Cutter Soil Mixing (CSM) Technology Used to Construct Microtunneling Shafts for Mokelumne River Crossing, 2009. Fifty Feet of Peat! Design Challenges of Three HDD Crossings of the Sacramento River, Western Regional Trenchless Review, 2012. Large-Diameter HDD Project Completes LAVWMA Pipeline, Western Regional Trenchless Review, 2011. 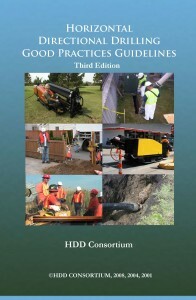 How the HDD Good Practices Guidelines Have Evolved, Trenchless Technology Magazine, 2011. 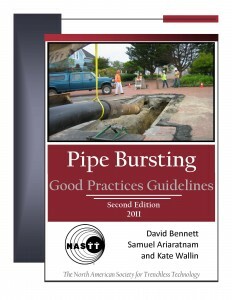 Improving Microtunneling Design Practice, A Contractor’s Perspective”, Trenchless Technology Magazine, 2011. Coordination with Environmental Agencies Key to HDD Project Success”, Western Regional Trenchless Review, 2009. New CSM Shaft Construction Method Debuts in the United States”, Western Regional Trenchless Review, 2009. Design Issues for HDD Projects, Part 2, Settlement Risks” Trenchless Technology, 2009. HDD Design Issues, Hydrofractures”, Trenchless Technology, February, 2009. Managing Settlement Risk during Microtunneling, Trenchless Technology 2009. Staheli, Kimberlie, David Bennett, Michael A. Maggi, Michael B. Watson, and Bruce J. Corwin, 1999. “Folsom East 2 Construction Methods Proving Project: Field Evaluation of Alternative Tunneling Methods in Cobbles and Boulders”, Proceedings, 3rd National GeoInstitute Conference, GeoEngineering for Underground Facilities, Geotechnical Special Publication No. 90, Urbana-Champaign, IL, June 1999. Gabriel Fernandez and Robert Bauer, editors. Green, Brian H., Kimberlie Staheli, David Bennett, and Donald M. Walley, 1998. “Fly-ash Based Controlled Low-Strength Material (CLSM) Used for Critical Microtunneling Applications.” ASTM STP 1331, A. K. Howard and J. L. Hitch, editors, American Society for Testing and Materials. Bennett, Robert D., 1995. “State-of-the-Art Construction Technology for Deep Tunnels and Shafts in Rock”, USAE Waterways Experiment Station, Vicksburg, MS, WES-TR-GL-85-1, reprinted 1995. Bennett, Robert D., Cording, Edward J, and Iseley, Tom, 1994. “Auger and Slurry Microtunneling Tests under Controlled Ground Conditions”, Transportation Research Record, No.1431, pp 75-82, National Academy Press, Washington D.C.